Our company is the major company known for providing Cool Eye Mask to the clients. This product is fully adjustable with elastic ear seal so it’s always just tight enough to keep out any disturbing light. 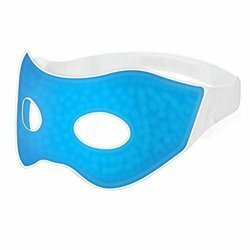 Cool Eye Mask (Cool Eye Pad) makes eye musclesvery comfort and relaxed and helps you to look your eyes very beautiful. - Store the cool eye pad in chiller of refrigerator for 10-15 minutes before use. Alovera Eye Mask Non allergic, these masks help in relieving eye stress within minutes and lend more life to eye sight. 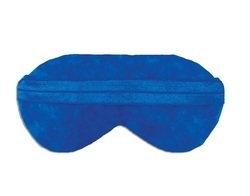 cool Eye mask for few minutes that will help reduce your stress, wrinkles and dark circles around your eyes.